Multiple Grammy & WC Handy Award winner Joe Louis Walker is one of the most heralded blues artists of our time. Walker has recorded with BB King, James Cotton, Bonnie Raitt, Taj Mahal, Branford Marsalis and Ike Turner. 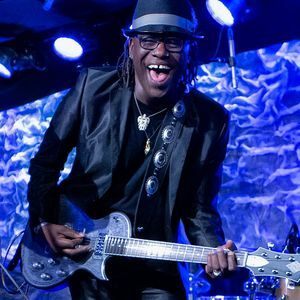 Walker has become an international ambassador for the blues overseas, having played at countless festivals throughout Europe, South America, Australia, the Middle East and Asia. Joe Louis Walker is already being referred to within the blues world as a "living legend." However, as Walker himself would say, "the best is yet to come!"